Jimmy Brigio has spent a decade avoiding his home town of Chicago and his mafia kingpin brothers who inhabit it. But when he gets the call that his sister has been kidnapped and is presumed dead, Jimmy returns to the Windy City to try and find her. But after an altercation with another powerful local mob, he finds he’s too late. So now, with a bounty on his head and revenge on his mind, Jimmy is hell bent on bringing down the men who took his sister’s life, and the lives of many others…even if he has to do it alone. 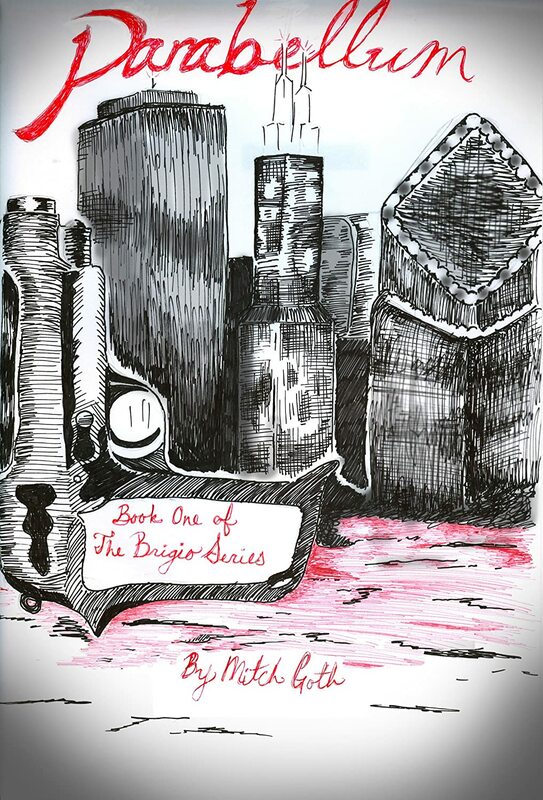 Parabellum is the first installment of the Brigio Series. This book’s development was a long journey. I came up with the idea of this book gradually, over the course of about three years. I had characters, settings, but still no conflict to bring them all together. Then, one day, I woke up and got the idea for the conflict in book one, and decided that it could become a long series all about the main character’s journey across this conflict. It was almost surreal how it happened actually. Like I said, this book’s development was a long journey. I came up with characters to several stories that didn’t pan out, then I thought, “these might go well together!” and that ended up becoming a large collection of characters I knew would work perfectly in a story that had not yet become anything. I’m glad it came around eventually.